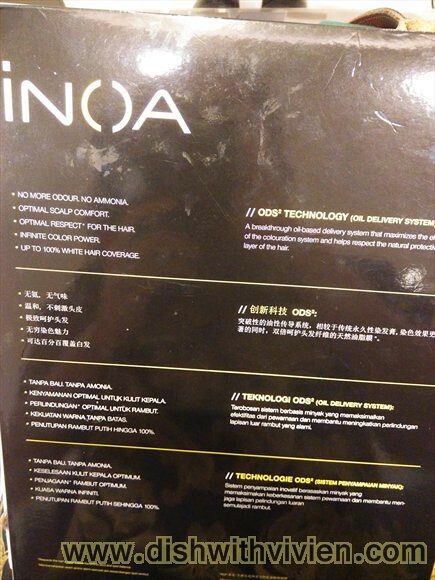 I choose their Ammonia free hair coloring called INOA by Loreal. It is odorlous, optimal scalp comfort, suitable for those who wants to colour their hair but concern about chemical harshness of normal hair coloring. With the recommendation from friendly senior stylist Davis, i chose the warm brown series: 6,34, the lowest left most. I at first wanted red, but he said red is hard to maintain, will turn to a unsightly copper after awhile. 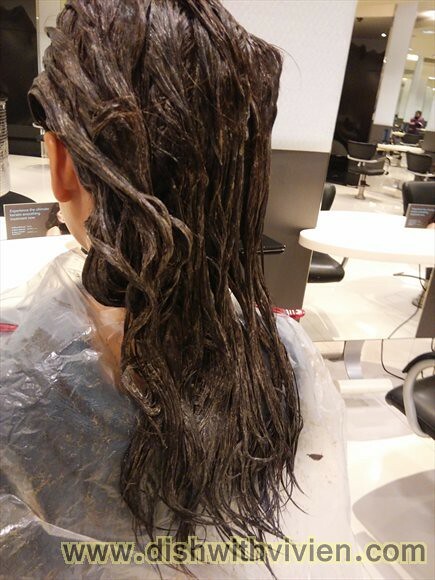 Warm brown is suitable for those who prefer easy maintenance, and it won’t have a harsh 2-tone-hair as the root grows out. 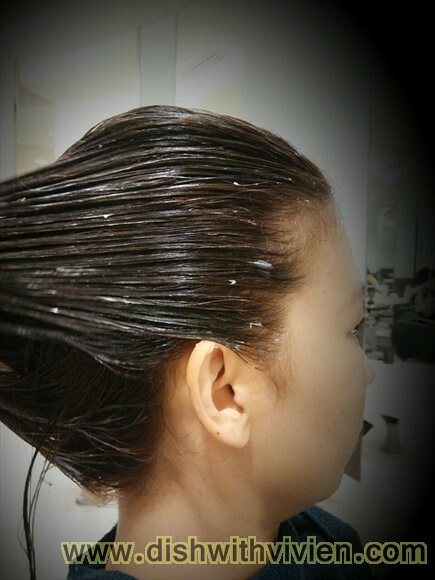 Above is after hair stylist JoAnne applied the hair coloring on my hair. 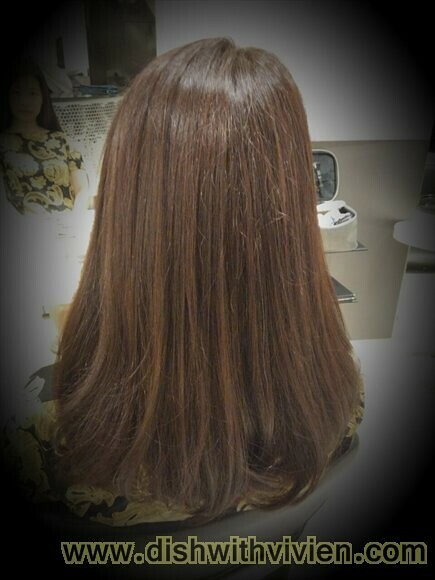 After awhile, Davis came to examine my hair, and conclude the colour can be washed out after about 15 minutes. 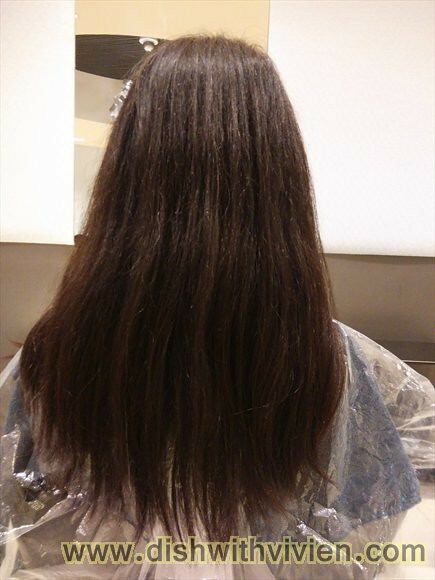 After washing out the color with Loreal INOA organic shampoo – same range as the hair coloring, JoAnn applied hair treatment on my hair. 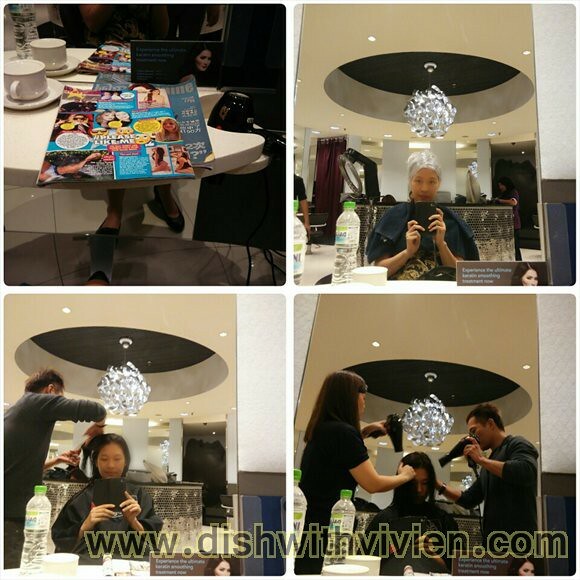 My hair turned so soft and no more tangling after this treatment. 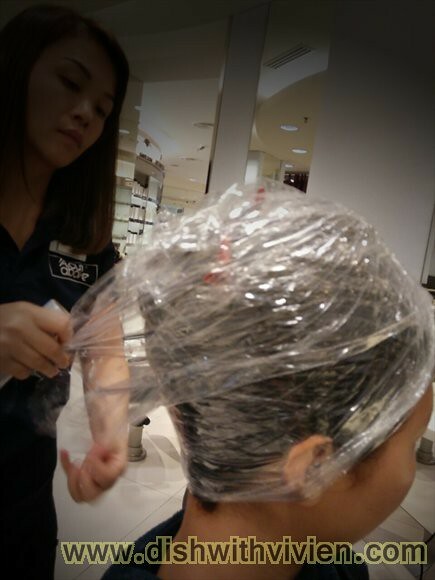 Wrap the whole head in cling wrap, and leave the hair treatment on for 20 minutes. Tada… The color is not obvious in indoor light, actually it is quite hard to tell i have done hair colour in indoor lighting, it just doesn’t dark-rich-colour-but-not-really black, somehow the above photo able to capture the color. I find the color is not very obvious indoor, the color look rich and shiny indoor, nice! 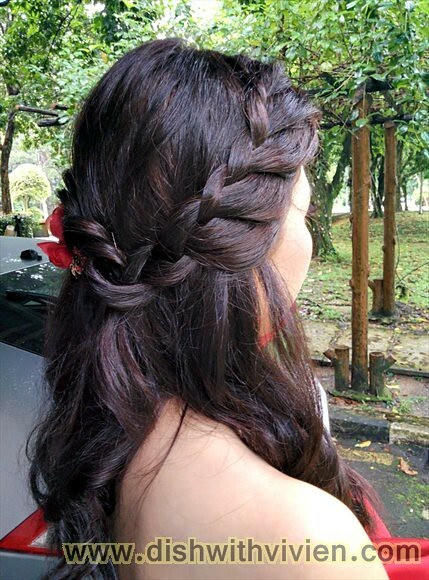 For photoshoot, you can opt for slightly lighter color than what i had. My color is very slight, Davis say the color will turn 1 shade lighter after awhile, suitable for low maintenance or those looking into hair coloring for the first time – perhaps wanting to cover some grey and not wanting something too drastic.